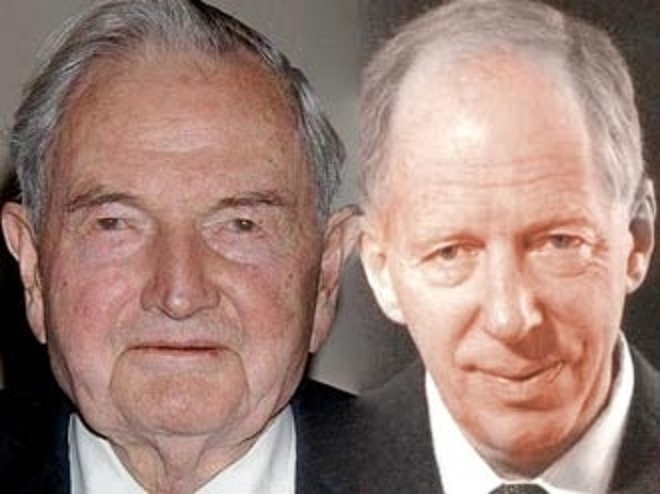 The transatlantic alliance cements a five-decade acquaintance between the now ennobled Jacob Rothschild (R), 76, and David Rockefeller (L), 96, the grandson of the ruthlessly acquisitive American oilman and philanthropist John D Rockefeller. LONDON (AP) — News Corp. chairman Rupert Murdoch said Wednesday that his globe-spanning TV and newspaper empire doesn’t carry as much political sway as is often believed, telling a British inquiry into media ethics that he wasn’t the power behind the throne often depicted by his enemies. The 81-year-old media baron denied ever calling in favors from British leaders and dismissed the oft-repeated claim that his top-selling daily, The Sun, could swing elections. Asked whether he set the political agenda for his U.K. editors, he denied it. He denied that former Prime Minister Tony Blair of the Labour Party had consulted with him on how to discredit French leader Jacques Chirac in the run-up to the 2003 invasion of Iraq. He denied strategizing with Blair’s successor, Gordon Brown, on whether to call a snap election. And he denied lobbying Cameron on issues including broadcasting regulations, the ins-and-outs of which have since helped feed the scandal. Brown released a statement Wednesday characterizing Murdoch’s version as false. “I hope Mr. Murdoch will have the good grace to correct his account,” Brown said. But he denied that his personal friendship with Blair had led to any favors, thumping the table to punctuate his sentence. 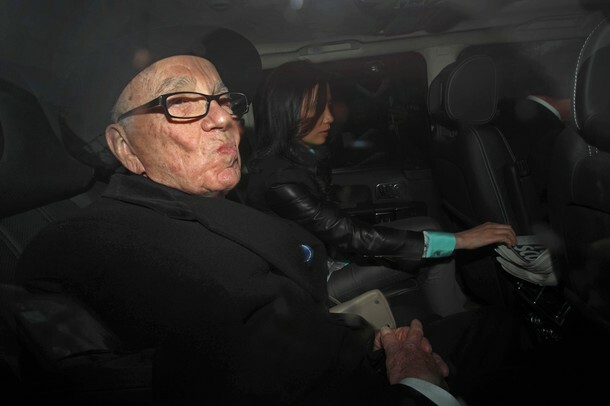 Media-watchers have speculated that Murdoch would seek to inflict political pain on the Cameron’s Conservatives, rumors which gained force when his son James gave damning testimony about British Olympics czar Jeremy Hunt on Tuesday. The younger Murdoch released documents that suggested that Hunt, a Cameron ally, had secretly smoothed the way for News Corp.’s bid for full control of the British Sky Broadcasting Group PLC, a lucrative satellite broadcaster. The bid was contested by Murdoch’s competitors, who feared that if News Corp. increased its stake in BSkyB, it would reinforce his dominance of the British media landscape. Hunt had told lawmakers he would be impartial, but the documents showed his department giving News Corp. behind-the-scenes advice and intelligence. Hunt’s political aide Adam Smith resigned Wednesday, saying he was responsible for the perception that News Corp. had “too close a relationship” with Hunt’s office. Smith said he had acted without Hunt’s authorization, but it was not clear how a special adviser could have acted so independently. 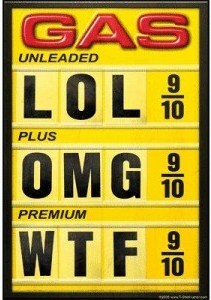 Pumped up about skyrocketing gas prices? Many American motorists are. According to AAA, the average U.S. price for a gallon of gas was $3.33 on Feb. 26, up from $2.70 a year ago. Some experts predict gas prices in some areas of the country could skyrocket to $5 a gallon this summer. While we’re paying more to fill up, the three largest publicly traded oil companies based in the United States have been filling up on profits. Those three companies – ExxonMobil, Chevron and ConocoPhillips – collectively pulled in an eye-popping $58.3 billion in profits in 2010, according to financial figures announced in January 2011. Mind you, that’s profit – the amount of money that companies pocket after covering their expenses. By means of comparison, the net worth of Microsoft founder Bill Gate has been pegged at $53 billion, about $5 billion less than the combined profits of the Big Three oil companies. • ExxonMobil: $30.5 billion, up $11 billion from 2009. In a substantial understatement, ExxonMobil’s vice president of investor relations, David Rosenthal, said he was “very pleased” with the company’s financial results for 2010. • Chevron: $19 billion, up from $10.5 billion in 2009. • ConocoPhillips: $8.8 billion, up from $4.9 billion in 2009. Certainly, massive profits for Big Oil are nothing new. And for years, American motorists have been moaning about high gas prices while oil companies have been raking in billions of dollars. “Enough is enough. We need Congress to stand up to Big Oil and pass legislation that addresses the problems with oil profits and oil use,” Daniel J. Weiss, director of climate strategy at American Progress, wrote in April 2010. A major inquiry is being demanded into profiteering energy firms after British Gas figures soared to a record £742million. Profits were up by a quarter in 2010 following the coldest December in 120 years and a shock 7 per cent price rise ahead of the winter. The firm’s parent company Centrica also announced record profits of £2.4billion – up by almost a third on 2009. The huge profit margins enjoyed by country’s ‘big six’ energy suppliers are being investigated by the industry regulator Ofgem. It is coming under pressure to announce a formal inquiry by the Competition Commission to establish whether consumers are being overcharged. The allegation is that firms are quick to pass on any increases in wholesale energy costs, but delay passing on cuts – raking in billions from struggling customers. High energy bills over the winter have been a disaster for families and pensioners also struggling with big increases in the cost of food, petrol and clothes. Research suggests that millions rationed their heat and endured the cold over the winter for fear of generating bills they could not pay. Mike O’Connor, chief executive of the official customer body, Consumer Focus, said: ‘We need successful energy companies – but consumers may look at today’s profits and at recent prices rises and question how one justifies the other. ‘The issue is about whether the energy market is working properly and Ofgem’s review must try to answer this question once and for all. ‘If the regulator identifies systemic weaknesses in the energy market then it should seriously consider whether a Competition Commission investigation is needed,’ he added. 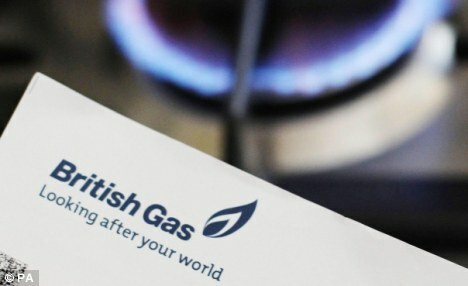 Ann Robinson, director of consumer policy at uSwitch.com, said: ‘Soaring profits will be cold comfort to British Gas customers who were slapped with a price hike at the beginning of the winter and have been feeling the impact ever since. However, Centrica chief executive Sam Laidlaw said the company’s profits were ‘for a purpose’. The company has pledged to spend £15billion over the next decade on nuclear, wind farms and gas-fired generation. Yesterday, the firm announced a £2billion deal with Qatar for the supply of enough gas to meet the needs of around 2.5million UK households. It will also invest £450million in its Ensign and York gas fields in the southern North Sea. An elderly customer awaiting a heart operation has been traumatised by receiving a bill for £20,000 from British Gas, backed up with threats of legal action. David Exon, 71, who lives with his wife Mila in Eastbourne, said: ‘I have a pacemaker and am due to have a new one fitted. I also have serious angina. ‘The effect of suddenly receiving a bill for £20,000 is quite traumatic. ‘Even though I know full well it is rubbish, the trouble is you can’t stop them sending out these bills. After being contacted by the Daily Mail, a British Gas spokesman admitted there had been a mistake. WASHINGTON, Feb. 13 (UPI) — Some Republican activists unexcited by their presidential field are clamoring for a familiar name: Jeb Bush. The former Florida governor and son and brother of presidents has said repeatedly he will not run in 2012, although he has not ruled out later elections. Still, some hope he can be convinced, the St. Petersburg (Fla.) Times reports. “None of the candidates talking about running now really stands out, but Jeb Bush would be really strong,” said Adam Hubler of Virginia, one of the activists attending the Conservative Political Action Conference in Washington last week. “There’s no question Jeb Bush is one of, if not the, most popular Republican in the country, but the fact is he’s not running,” said Ron Kaufman, a strategist who helped President George H.W. Bush get elected in 1988. 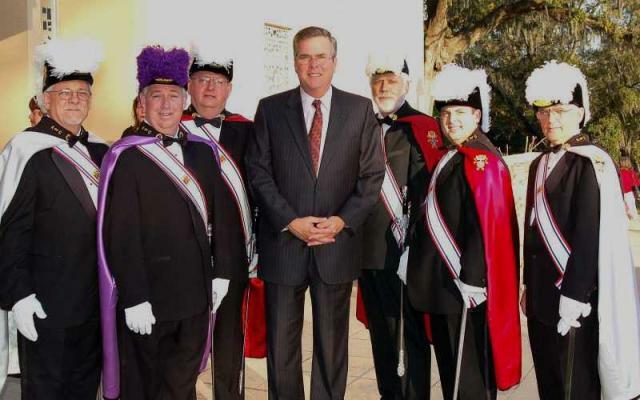 Bush has been active giving speeches on education reform and consulting. AOL has sharply divided opinion on the web with its purchase of one of the biggest names in the blogosphere. The US internet company will buy Huffington Post for $315m, the latest and most significant step it has taken to remake itself as a serious player in advertising-supported internet content. The deal represents a big payday for Arianna Huffington, the political pundit who owns a significant stake in the left-leaning website which she co-founded in 2005. She will now become the face of AOL’s collection of online content, which includes everything from moviefone.com, the film information site, to the local news site Patch, and the TechCrunch technology blog. AOL is still reliant on its dwindling dial-up internet access business for much of the company’s profits. Yet it has been building a network of specialist sites, and the Huffington Post will give it access to one of the largest audiences among news websites. The Huffington Post’s sites have a monthly audience of nearly 25m unique users who come for a blend of comment and news, often written by unpaid bloggers and derived from other sources around the net. “[The deal] does make sense,” said Shahid Khan, a consultant with MediaMorph. AOL will round out “its offering with a well-respected news and politics site, and it rounds out its demographic with a well-educated and younger audience”. The Huffington Post’s revenues from advertising were about $30m last year when it was profitable for the first time. It expects revenues to grow in the coming years as website traffic increases and online advertising continues its rebound. Yet its costs may increase as it begins investing in original content and paying high-profile writers. With AOL paying $315m, nearly all in cash, the Huffington Post has commanded a much higher multiple than TechCrunch, which had revenues of about $10m when it was sold in September to AOL for between $25m and $40m. The Huffington Post was started with backing from several liberal supporters, including Larry David, the creator of Seinfeld, and David Geffen, the film and music billionaire. It has taken an additional $35m in venture capital. Tim Armstrong, a former Google advertising executive, was appointed AOL chief executive in 2009 with a mandate to reinvent the company as a hub of specialised online content. So far his efforts to cash in on this strategy have fallen flat in the eyes of many analysts and observers. “This acquisition by AOL is another shot at aggregating more content, but probably not yet knowing quite what to do with it,” said Joel Hollander, former chief executive of CBS Radio. AOL also has a patchy track record in mergers and acquisitions. It sold ICQ, the instant messaging service, last year for $187.5m – less than half of what it paid for it in 1998. It also made a big loss on Bebo, the social networking site. Its biggest deal was also widely regarded as the worst in history. 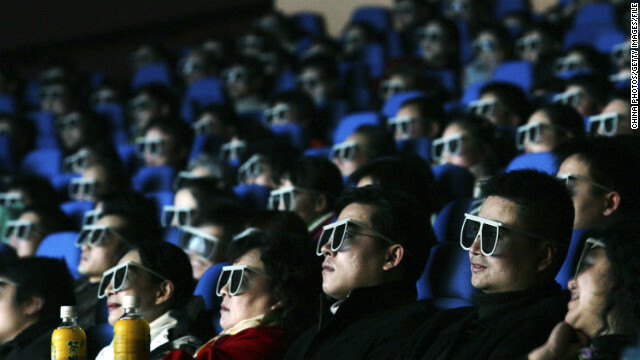 It acquired Time Warner in an all-share deal worth $164bn in 2001. Anticipated synergies failed to materialise and a string of writedowns followed including a $100bn charge only a year later. AOL was eventually spun out of Time Warner in 2009.